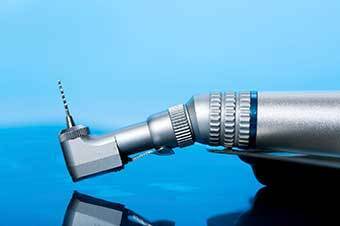 Dentists and dental laboratory technicians use a variety of rotary instrument burs in both the dental office and the dental laboratory. The burs are manufactured to fit various handpieces and may be made from steel or carbide, or they may have diamond-coated tips. Burs come in many shapes, each of which is used for a different purpose. While dental burs are used to work on human teeth or bone, laboratory burs are used to work on acrylic materials, such as dentures and partials, or plaster, metal, or stone materials. Abrasives also have a place in the dental office or dental laboratory. They may be mounted or unmounted and are made from silicon carbide, high-grade corundum or diamond grit. Abrasive discs are used to polish and smooth material, are flexible or rigid, and may be grit-coated on one or both sides. Diamond grit may be used as a coating or it may be embedded into the bur or disc. These are known as sintered diamond instruments. The following chart describes some of the various dental bur applications.